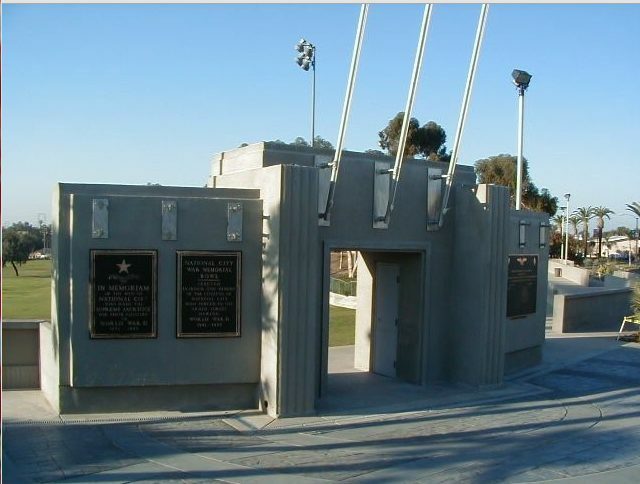 Three brass plaques stolen from a National City war memorial last week were found in the parking lot of a San Ysidro apartment complex, but police today said one appeared to have been damaged. The plates honor local members of the military who died in World War II and the Korean and Vietnam wars, and were reported missing from Kimball Park in the 1200 block of D Avenue Monday night, according to National City police. The tablets — two measuring 3-by-4 feet and the other 4-by-5 feet — had been on display in the location more than 60 years, police said. About 7:15 p.m. Saturday, a resident of an apartment complex at 245 Willow Road in San Diego’s San Ysidro neighborhood called police and said he had found the memorial plaques leaning against a fence in the complex’s parking lot. Police said the resident, identified by NBC7 as Elvino Bascon, searched for the plaques online and determined that they were the ones stolen from the National City Park nearly a week earlier. Officers who recovered the plaques discovered that one appeared to be damaged, police said. No suspects in the theft have been identified, police said.